German Bike industry about to follow the football team. The self-destruction of a world champion. The week before annual world's leading bicycle exhibition Eurobike in Germany domestic news magazine Der Spiegel titles "Es war einmal ein starkes Land" - once upon a time there has been a strong country. The story explains how all three society pillars have brought themselves into a deep crises by an egomaniacal, risk avoiding and arrogant attitude. Successful innovators became saturated world champions, uninspired and slow. Marketers using bikes everywhere to create positive associations. From fashion boutique display window to the car maker advertisement - communication with bikes practically always works. Cargo e-bike are the new status symbols. Urban Arrow is the BMW for the young family in metropolis. Bikes have the power to solve problems coming along with global urbanisation mega trend like air pollution and traffic conjunction in cities. Modern city planners consider bike lanes, cargo bikes and sharing schemes as the key for success in their toolbox. 1) Don't ignore innovations coming from outside of the industry. 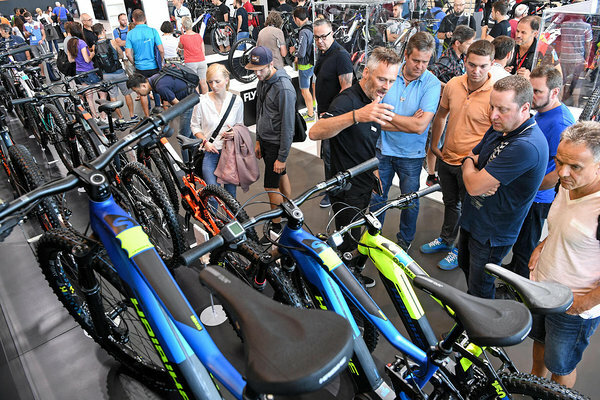 Eurobike 2018 unveiled a new exhibition concept. After 8 years in which e-bikes have been dominated biggest innovations coming from the show hall A1 was a dedicated e-mobility world. Cargo bikes, e-mobility component suppliers and new business model received a dedicated stage which was good. But for 2018 where Lime Bike, Bird or Xiaomi dominate global e-mobility news I would have wished to see more. After the golden decade for the bike industry it seems a champion event did not set the course early enough to be considered as a global leading e-mobility expo. Especially if an exhibition is focusing on B2B then a touch of a Paris Autonomy Summit would have been a must have. COMODULE is providing IoT solutions for the light-electric-vehicle (LEV) industry since 2014. In 2016 COMODULE launched a connectivity sharing mobility eco system and can be a strong partner for companies who are willing to invest in new markets. 2) Innovate or die! Manufacturer need to wake up. Obviously in bike industry the meaning of being a bike manufacturer is used very broadly. There are great examples like Specialized, Stromer or Vanmoof who - with a limited range of resources - push all limits, create trends and take the product to the next level every day. On the other hand there are manufacturers who are basically assemblers with a marketing department and old-fashioned distribution channel. The success of the company seems to be based in 99 % on the product, service and image of their supplier. If the positive market circumstances would change a day, a reason to exist is hard to identify. With innovative MAAS (mobility-as-a-service) products COMODULE can help to unlock new business models for manufacturer and turn customers into users. 3) Dominant supplier landscape act as a gate-keeper for innovation. With a two-digit market growth over more than the past five years e-bike industry attracted many players. Huge electronic companies or component supplier from automotive industry see a chance to participate from that gold-rush mood as at the first glance they have what it takes to be successful. A "low hanging fruit". What is usually underestimated in management decisions is the anomaly of the market. It is not sufficient to be technologically strong. Global dealer service networks and a strong consumer brand are as important as the product itself. And while new players are kept in detention to make themselves attractive for bike OEM's nobody is working on innovations which can barely be found in hardware development in 21st century. First innovative third parties like Cobi and Bloks. are struggling because the access to market and new business models are blocked, the willingness to cooperate is limited. In order to interpret ignorant behavior you don't need to be a visionary. Just take a look at the given examples. Innovation in automotive industry are dominated by US IT companies like Google or Apple. No German Vorsprung durch Technik. New players like Uber or Flixbus create the business models that have a real impact on global individual mobility. Cooperations that have been magnets for young professionals become the second choice for young, talented and motivated engineers. The signs are alarming for the established bike industry. The bike as a mean of transportation has deserved more and will make it's way in future global mobility. With or without 200 year bicycle experience. COMODULE is a IoT provider for light electric vehicles at the edge of technology.  Founded in 2014 the company is offering industry and sharing mobility connectivity solutions. The company has offices in the software capitals of Estonia and Germany: Tallinn and Berlin. We believe that we can help manufacturer and system suppliers to take the bike to the next level.